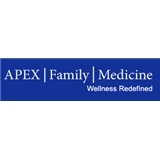 Apex Family Medicine (Denver) - Book Appointment Online! ***We ask new patients to arrive 30 mins prior to their appointment time to complete a history and insurance tablet check in. Our goal at APEX Family Medicine is to provide individualized, quality healthcare for our patients. We strive to do this with both empathy and compassion for our patients. Our office is dedicated to the diversity of the world and the people who bring it to life. We encourage patient directed care and provide comprehensive health services to achieve optimal personal health. The staff at APEX is dedicated to teaching and sharing our expertise with the community. We do not accept Medicaid Insurance. Thank you. Great! Saw another doc, but The whole office was very pleasant!